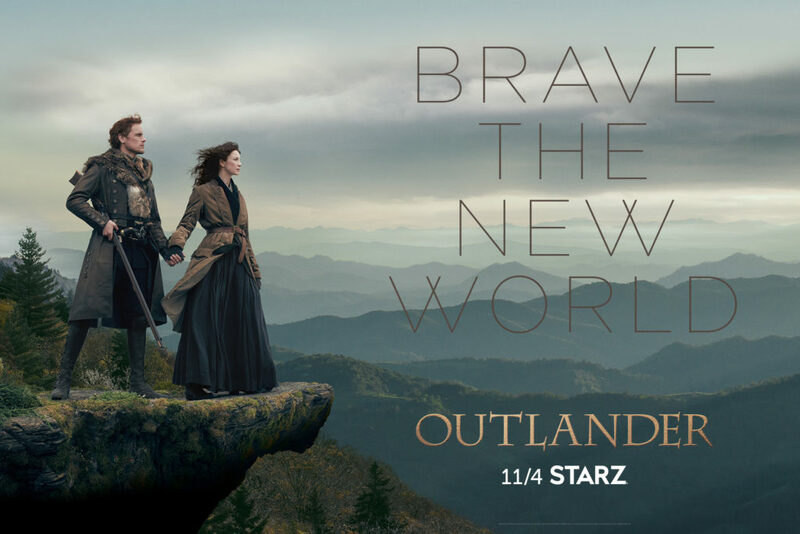 The key art for Outlander season four is here! It features Jamie (Sam Heughan) and Claire (Caitriona Balfe) on a cliff’s edge looking at their new “setting.” I love, love, love the look of this key art. The costumes on both characters are amazing, as usual. 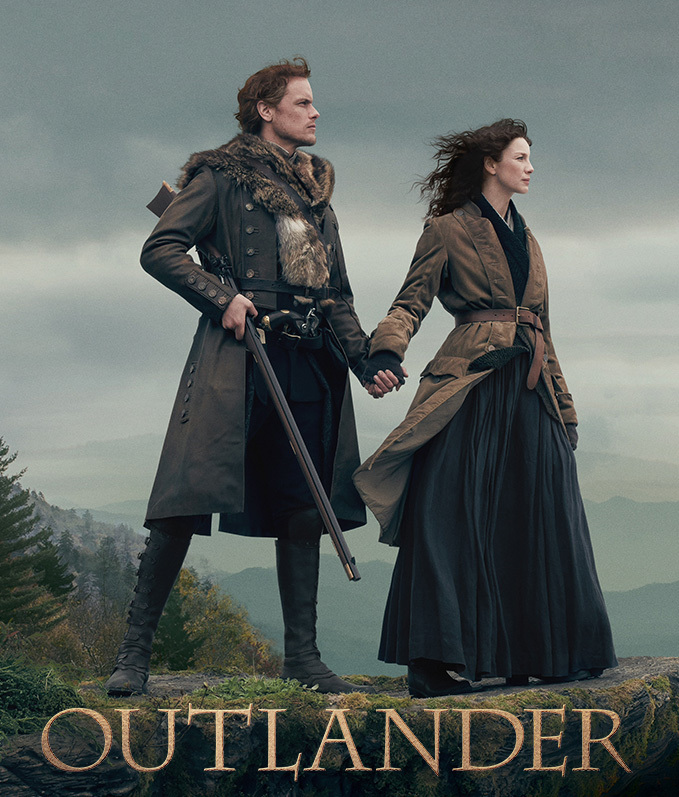 Jamie’s hair doesn’t appear long in the key art, but I assume that is just how the photo was shot. I added a zoom in of just Jamie and Claire at the end of the post, but the four official key art versions are first. The key art was revealed on Twitter using tweets of anticipation by fans as a backdrop. You can see that version by clicking here. Maybe your tweet made it to that poster. 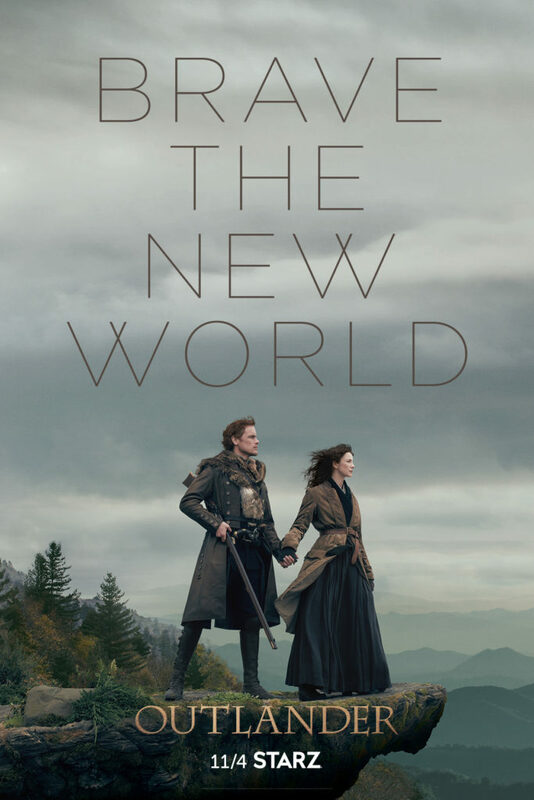 This entry was posted in Caitriona Balfe, Production Photos, Sam Heughan, TV Show News and tagged Caitriona Balfe, Key Art, Sam Heughan, Season Four by Sarah Ksiazek. Bookmark the permalink.